Cell towers or rooftop telecom lease are often simply viewed as miscellaneous income or “found money”, but nothing could be further from the truth. The reality is cell towers are significant telecom assets that are often overlooked or largely discounted by real estate owners. 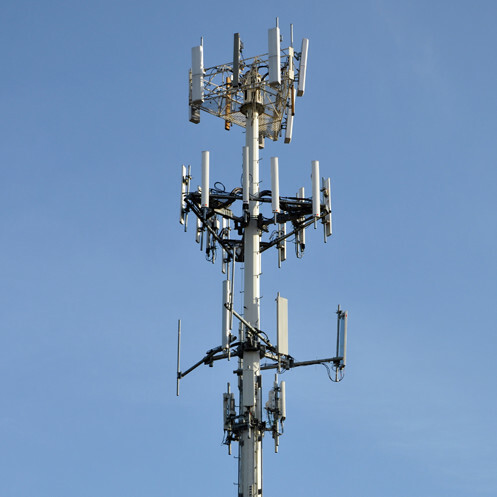 One reason for this disparity is the common misconception that a property owner, real estate broker, or an appraiser may have that a cell tower lease is a real estate asset, when in reality it is a telecom asset. The following are some factors to use in determining the value of your lease. Utility of Leased Site: The most important factor in determining the value of a cell tower site and related cell tower lease is the utility of that particular site to the cell tower tenant. The utility of a cell tower site is founded by two basic variables. First, the importance of the site to a telecom carrier’s wireless network and second being the revenue produced from the site. If the cell tower tenant is a wireless carrier (e.g. AT&T, Verizon, Sprint, etc. ), the first priority of the site is how it serves the needs of carriers’ wireless networks in the immediate area. Conversely, if you are leasing your land to a cell tower company (e.g. Global Tower Partners, American Tower, SBA, etc. ), then the only interest of these tenants is subleasing space on the tower to wireless carriers; the more carriers they can lease to, the more valuable the site is to that tenant. Location of Leased Site: If your focus in determining the value of a cell tower site’s is primarily based upon population density or even ground elevation surrounding the site, your target is usually going to be missed when it comes to actual value of that site to a telecom company. While the above mentioned factors have an influence in determining value, the major components of determining the worth of a cell tower site and its corresponding lease are the alternatives / options a telecom tenant has in the immediate area where the cell tower is located. These options are usually directly tied into local zoning/permitting restrictions in that area. As a result, if you rely solely on the property values’ factor to determine the worth of your lease you could be taking a costly misstep in the wrong direction. Telecom Equipment on the Leased Site: As mentioned above, a cell tower lease is more of a telecom transaction than a real estate transaction. A perfect example of this is that part of the value of a cell tower lease to a telecom tenant is the investment a company has made in the site based on the construction cost of the tower and the functioning telecom antennas installed at the site.